Here is a photo of a Wood Lily (Lilium philadelphicum) we found near Roubiax Lake. 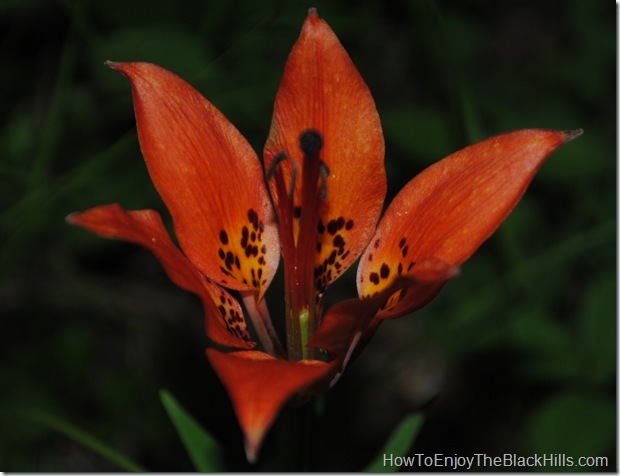 According to my handy copy of Plants of the Black Hills and Bear Lodge Mountains the wood lily is also known as wild lily or tiger lily. It is found across much of the midsection of North America. You may stumble upon this little lily anywhere in the central and northern Black Hills. It flowers in late June through July.